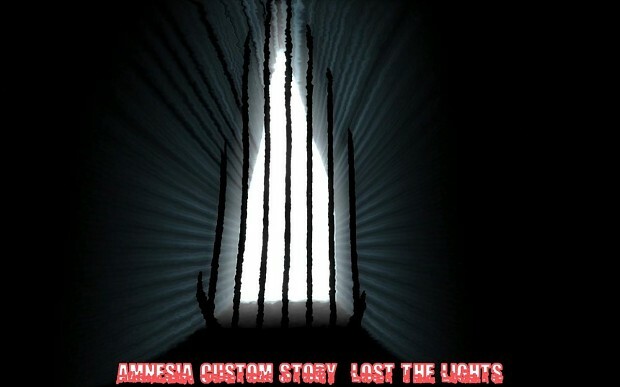 Amnesia: The Dark Descent Custom mod called: Lost The Lights When you Downloaded the file, Open the Simple Read so follow the simple instructions. The English and grammar is nog fixed. And there is a few bugs and glitches and some faults with the english.cfg. sorry for the trouble but, i'm having very busy life. NOTE: If you got the steam version open redist and place custom_stories And entities just into amnesia. For some reason. Many people know this game and they told me its great one, Why not lets give this a try. How to go future? How to open door to downstairs or what place is there idk..
Maybe look on the momentos. when you picked up a key look on the description what to do. But where is the key? I can't find anything when i go though the window.. (only small oil potion or something) is there key somewhere? 1 Question. is none one reading the momentos ? I did it. I always read momentos.. Tell me where is key or something. how do you download it straight from the comunity? And how do you play it when you download it on to your folder? I can't download it for some reason. This custom story is very long and addictive. I admire. combination of hammer and chipper doesnt work... who knows how to fix it? not possible what you're saying right now. but it doesn't need to be combined ( necessary ) just use the chipper or hammer on the door. it automatically come bind itself. you may have lots of custom stories, that may ruined it combination Script function.